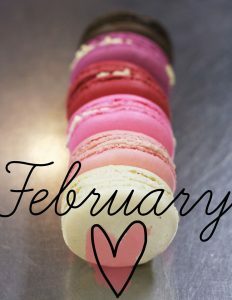 With February in full swing, many people are beginning to think about Valentine’s Day. From chocolate to flowers to dining out, putting a plan together can be a challenge. Worry not! We have created a guide to celebrating Valentine’s Day in Ann Arbor to help you make the most of the day for love. 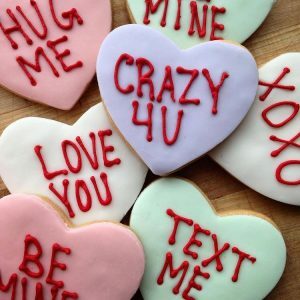 If you’re looking for something sweet this Valentine’s Day, Ann Arbor has many options for you! Our top picks include chocolates, cherries, cupcakes, and more. From their roadhouse to their coffee to their deli, Zingerman’s is an Ann Arbor favorite. Zingerman’s Bakehouse is no exception. The Bakehouse says they are committed to being the best bakery they can imagine. They offer pastries, cakes, cookies, and more. If you’re browsing for something special for someone special, consider stopping by Zingerman’s Bakehouse. Kilwin’s Chocolates is an old-fashioned confectionary shop specializing in chocolates, ice cream, handmade sweets, and gift baskets. Kilwin’s is located on East Liberty in downtown Ann Arbor. The storefront, with its bright orange awnings, is very easy to spot. If you miss the awnings, the smell of chocolate is sure to draw you in! Cherry Republic – Ann Arbor offers gourmet cherry products made with both sweet and tart cherries. Whether you’re looking for chocolate, cherries, or candies, Cherry Republic has it all (and then some). They even offer specialty gift boxes in a variety of combinations. Celebrate Valentine’s Day in the spirit of northern Michigan! Warm up at TeaHaus while enjoying some of the finest loose teas available. TeaHaus was created by Lisa McDonald who was inspired by the 14 years she spent in Germany and Sweden. After returning to the U.S. with her husband, she began to miss the premium loose teas available in European villages. As a result, she opened TeaHaus. In addition to the tea, the macarons at TeaHaus are absolutely delicious! The in-house baker at The Cupcake Station bakes fresh cupcakes from scratch each day. Cupcakes come in full, mini, or jumbo sizes. Choose from a broad array of cake and icing flavors including Caramel Celebration, Red Velvet, and Strawberry Delight (just to name a few). They also offer a variety of specialty items for Valentine’s Day including baked goods, chocolate-dipped strawberries, and more. Seeking the services of a talented florist? Ann Arbor has many to choose from! We created a list of some of our favorites to assist you in your search. Are you looking to buy a floral arrangement for someone special? The Ann Arbor area has many options! Tom Thompson Flowers is a great option for flowers in Ann Arbor. Tom is a diplomate of the Ikenobo School of Ikebana. Ikenobo is the oldest and largest school for Ikebana, or Japanese floral art, in Japan. Tom studied in Kyoto and Misawa. He has a deep understanding of the nuances of design and quality. Tom works with his team: Djami, Pam, and Minuettte the dog (she helps with customer relations). Lily’s Garden is known as Ann Arbor’s European Flower Market. Lily’s is also known as the home of two furry friends named Arthur and Herman. Arthur and Herman are the both rescue dogs who enjoy the responsibility of being the official shop greeters. Lily’s Garden is located next to Zingerman’s in the historic Kerrytown district. The shop is a family-owned and operated business that takes pride in every order that goes out the door. Chelsea Flower Shop is located in downtown Ann Arbor. They have provided top-notch floral and gift items for over 65 years. The staff at Chelsea Flower Shop are focused on delivering courteous and professional service. Need assistance? No problem. Chelsea Flower Shop can help you with placing orders for local delivery or to anywhere in the world. University Flower Shop is a floral design studio and shop located in Ann Arbor’s historic Nickels Arcade. The shop creates floral designs and wrapped bouquets for all occasions. The team at University Flower Shop is always on the lookout for interesting ideas and seasonal ingredients to inspire their work and intrigue their guests. Norton’s Flowers and Gifts is an Ann Arbor area favorite that was founded in 1892 by Frank Norton. Norton’s offers flowers and plants for all occasions. Do you need flowers delivered? No problem. Norton’s provides same day delivery in the Ypsilanti and greater Ann Arbor Area. 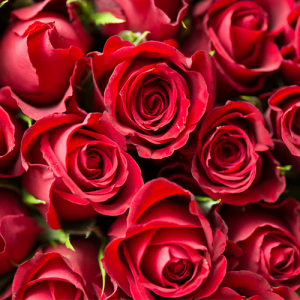 Due to the high demand for flowers on Valentine’s Day, Norton’s recommends placing orders 24 hours in advance. Interested in dining out with someone special on Valentine’s Day? Ann Arbor has you covered! With so many amazing options to choose from, trying to make up your mind can be overwhelming. We created a list of some of our favorites to help get you started. Dining out is a great way to celebrate Valentine’s Day with someone you care about. Established in December of 1998, The Chop House is a highly-acclaimed Ann Arbor favorite. The Chop House takes pride in serving only the finest quality USDA Prime beef. Only 2% of USA beef is graded Prime. The Chop House describes the restaurant’s atmosphere as a “cool urban vibe that’s sophisticated yet comfortable.” Ornate gas lamps and a broad collection of art create a warm ambiance in the dining room. Sava’s is one of the largest restaurants in downtown Ann Arbor. Owner Sava Lelcaj and her team are proud to offer locally-sourced diverse cuisine. Sava’s is located in the heart of Ann Arbor’s theater and museum district. We are always impressed by Sava’s curated music and art collection. According to the restaurant’s website, Sava’s welcomes town and gown alike, so dress up or be casual! Based on Chef Thad Gillies’ interpretation of “New American” cuisine, Logan Restaurant is the result of its three owners’ desire to establish a contemporary and elegant restaurant in Ann Arbor. Logan first opened in 2004. Since then, the restaurant has become well-known in the Ann Arbor area. Many favor Logan for the creative menu, selection of boutique wine and spirits, and warm customer service. The menu at Pacific Rim by Kana reflects chef Duc’s Asian-American roots. He describes his food as distinctly Asian for its use of traditional flavors and cooking styles. On the other hand, he also describes his food as distinctly western for its focus on using the finest ingredients, reliance on French techniques, and emphasis on freshness and seasonality. The Gandy Dancer is another option for those seeking an elegant setting for a Valentine’s Day meal. 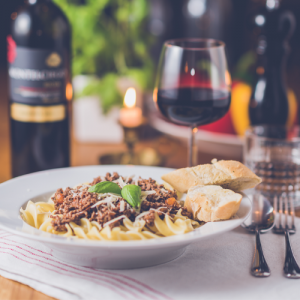 Known for its creative preparation of seafood, steaks, and pasta, the Gandy Dancer is an Ann Arbor area favorite. The restaurant is located in the beautiful 1886 Michigan Central Depot. Enjoy the fine cuisine and historic atmosphere with your special someone.